Guy's Hospital Reports, Vol. 115. No. 3, 1966. Special Number dedicated to Thomas Hodgkin. 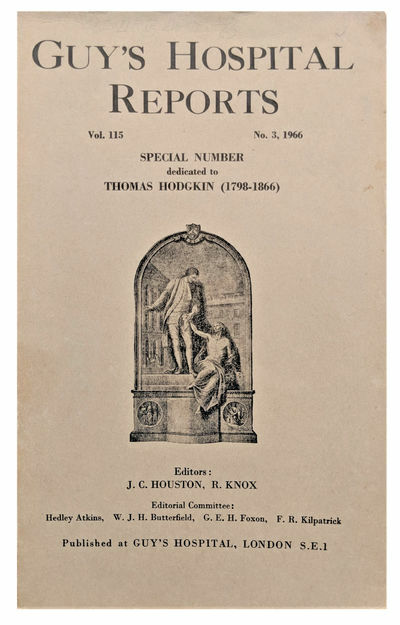 by [HODGKIN, Thomas (1798-1866)] HOUSTON, J. C. [ed. ]; KNOX, R. [ed. ].